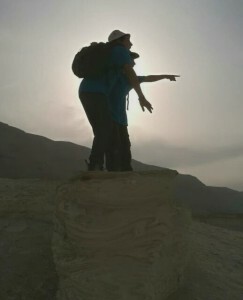 The first time we met was four years ago, in the Jerusalem Bird Observatory station. Iris and Netta came to see ringing, and by chance Asaf was volunteering that same morning. What started as a search for Long-eared Owls became into a deep friendship between the three of us; then, last year we met Erez and very fast he became a part of our puzzle. After four years (or only one), we’ve decided to make our dream come true and set up the Scrub Warbler team. Together, as a youth team, we will compete the race. It is very important for us to make ourselves clear: Our main goal isn’t to have fun, but to collect as many donations as we can. This is why we need you: without your donation, we won’t be able to make it! If you too wish to see vultures thrivee, not only now, but in the future too, if you feel like us and want to do the right thing and stop the deaths and extinction of millions of birds, please donate to our group! Iris, Asaf, Neta and Erez! My name is Erez Suramello and I’m 15 years old, from Tzur Hadasa. My favorite birds are the Goldfinch and the Black-winged Kite. 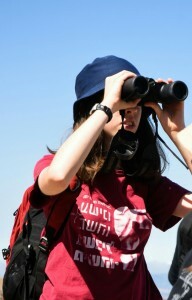 I started to do ”real” birdwatching for the first time last summer – now I’m birdwatching everywhere and I love it! In the competition I hope to become a better birdwatcher, meet some new birdwatchers and add some new species to my checklists! I am 17 years old, from Jerusalem, and this is going to be my fifth year competing in the race. I discovered the birding world when I was five and my Grandfather’s sister showed me pictures of birds from a German book. Since then, my love of birds has become bigger and I got my first pair of binoculars, then the second one, my first camera and so on. 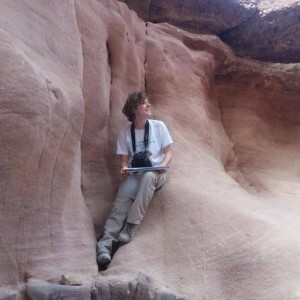 In my five years of birding, I learned to watch birds all over the country but mostly in Jerusalem Although the Ma’agan Michael coast and the endless fields, pools and birding park of Eilat are infact my favorite birding places in Israel. This year is going to be my first year as a member in THE SCRUB WARBLER TEAM and I have set myself two goals: the first one is to raise as much money as possible and the second one is to have fun! seriously 3-4 years ago, and soon after I became a birder and a ringer. This will be my third time participating the race and I’m looking forward to it! One of our goals as a team, as participants in the race, as birders and as people that care about the environment is to raise as much money as we can and help stop the illegal killing of birds – those we wake up early every morning to see and those who bring color to our lives. Please help us and donate!! My name is Netta Verker and I’m 16 years old from Jerusalem. 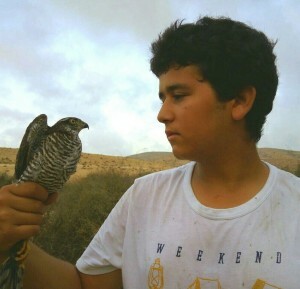 When I was 13 years old, I visited the Jerusalem Bird Observatory for the first time and this way I discovered the birding world. Since then I’ve volunteered at the JBO and go birding often. I love birding because it’s a discipline that can always surprise and excite, because of the closeness to the nature that I feel every moment and because the birding gives a different point of view on the world – since I started birding I always open my eyes to see what is around me, and I find things that I wouldn’t find otherwise. I hope I’ll enjoy the race and the special birding experience (after all, as a Jerusalemite I don’t go to Eilat every day) and of course that we will succeed to contribute to the protection of birds and preserving nature.